We love growing our own fruit and vegetables. Eating from your own garden is something we really love. This drink I decided to make as we grow mint, and it grows like crazy. This is great for parties as you can make a large quantity with no cocktail shaker in sight. 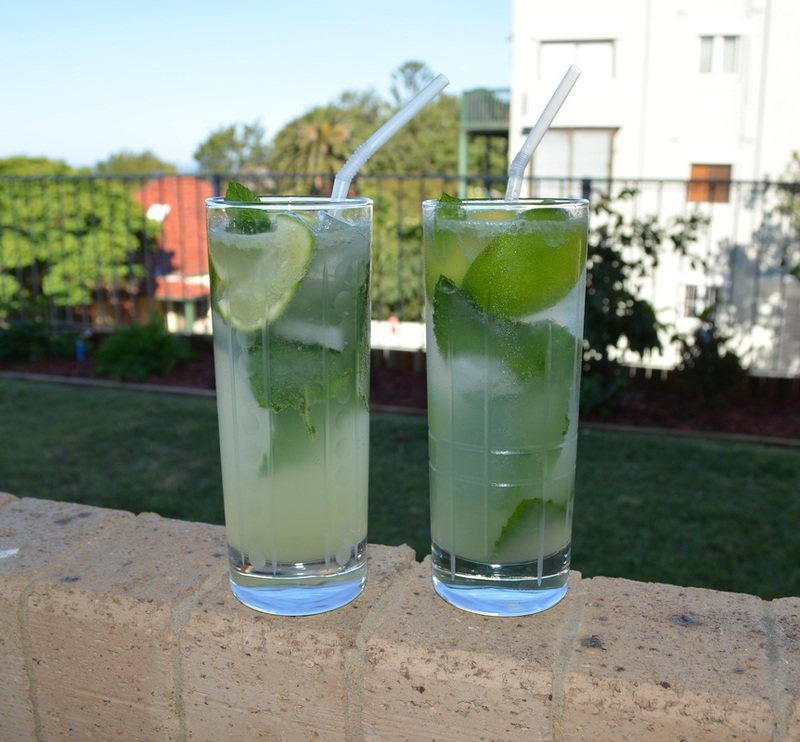 This is basically a version of a Mojito (which I have posted before), but this is made for large quantities and is very easy. I made only two glasses to try for me and my husband, but this is definitely something I will be making for parties that I have in the future. Super easy, super tasty, very refreshing. Quarter six of the limes, place them in a large jug. Add the sugar. Now using a muddling stick or the base of a rolling pin, crush the limes and the sugar together. Juice the remaining six limes, add the juice to your jug. Now add the rum and mint. Add the mineral water, to taste. To serve, fill your glasses with ice and pour over the punch.